Austin, Minnesota, is the hometown of SPAM. Bethlehem’s claim to fame tops them all. In it, the Savior of the world was born. Jesus was born in Bethlehem in the Jewish year 3790. The place of His birth had been prophesied five hundred years before: “But thou, Bethlehem Ephratah, though thou be little among the thousands of Judah, yet out of thee shall he come forth unto me that is to be ruler in Israel; whose goings forth have been from of old, from everlasting” (Micah 5:2). Both the intellectual class (Matthew 2:5–6) and the common people expected the Messiah to come from Bethlehem (John 7:42). 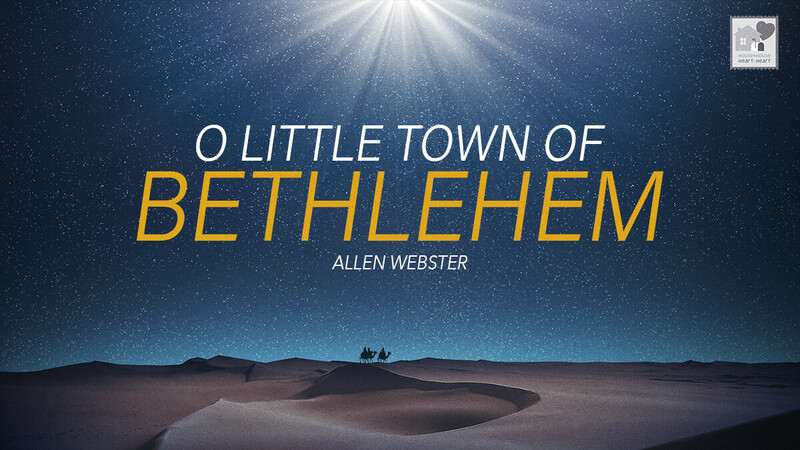 The little town of Bethlehem was known for four things, and each of them teaches us a lesson about Jesus. Bethlehem was associated with sorrow. Jesus, man of sorrows, turned man’s sorrow to joy. Rachel, the wife of Jacob, passed away and was buried in the vicinity of Bethlehem (Genesis 35:16–20; 48:7). She was the mother of Jacob’s favorite two sons: Joseph and Benjamin. She died giving birth to Benjamin and wanted to name him, “Benoni,” which means “son of my sorrow,” but Jacob intervened. Jesus was also associated with sorrow from birth. The babies Herod killed were the first “Christian” martyrs, but they would not be the last. Isaiah referred to Jesus as the man of sorrows (Isaiah 53:3). Jesus wept at least three times while on earth: at the tomb of Lazarus (John 11:35); over the city of Jerusalem (Luke 19:41); and in the Garden of Gethsemane (Hebrews 5:7). Jesus turned man’s tears to joy. He promised the disciples: “Ye shall be sorrowful, but your sorrow shall be turned into joy” (John 16:20). Rachel’s tears were wiped away because the Messiah had arrived who would bring joy to the world and the Savior came out of the grave to bring salvation to humanity. Bethlehem was associated with sheep. Jesus, the Good Shepherd, leads those who are astray. David was born in, and grew up in, Bethlehem (1 Samuel 17:12). It was here that as a boy he herded his father’s sheep (1 Samuel 16:11, 19; 17:15) and defended them against a lion and a bear (1 Samuel 17:34–36). It was appropriate that Jesus, the Son of David, was born in the city of David (Luke 2:4–7). As Bethlehem was the place where David is associated with humility (unlike later years as a king), it was fitting that the humble Good Shepherd was born in a barn there. Man needed a shepherd for, “All we like sheep have gone astray; we have turned every one to his own way; and the Lord hath laid on him the iniquity of us all” (Isaiah 53:6; cf. 1 Peter 2:25). Jesus rescues us from sin, as He illustrated in a parable: “What man of you, having an hundred sheep, if he lose one of them, doth not leave the ninety and nine in the wilderness, and go after that which is lost, until he find it? And when he hath found it, he layeth it on his shoulders, rejoicing. And when he cometh home, he calleth together his friends and neighbours, saying unto them, Rejoice with me; for I have found my sheep which was lost. I say unto you, that likewise joy shall be in heaven over one sinner that repenteth, more than over ninety and nine just persons, which need no repentance” (Luke 15:4–7). Bethlehem was associated with sacrifice. Jesus came to pour out His life for the sins of the world. On a battlefield, a thirsty David once longed for a drink from Bethlehem’s well. The problem was the Philistines occupied the city and controlled the well. Three of David’s daring warriors broke through their lines and brought their beloved leader water from the well “by the gate” (2 Samuel 23:14–17). On that day, Bethlehem was forever memorialized as a place of remarkable courage and loyalty. When the soldiers presented him the water, David was so moved that he would not drink it. As thirsty as he was, he poured it out to the Lord as an offering. Drink offerings were common in the Old Testament and even predated Moses’ Law (Genesis 35:14). They were poured at the foot of the altar with burnt, fellowship, grain, and unintentional trespass offerings (Exodus 29:41; Leviticus 23:37; Numbers 15:5). In proportion to the size animal offered, they were a part of both daily sacrifices and feast days. This incident reminds us that Jesus offers living water (John 4:10) which quenches man’s spiritual thirst (John 6:35). He poured out His life for man as a sacrifice to God (Hebrews 10:12). Paul used Old Testament drink offerings as a figure of the sacrifice of Christians giving their lives in service to God (Philippians 2:17; 2 Timothy 4:6–8). Bethlehem was associated with sentiment. Jesus, the bridegroom, came to win the lonely. Bethlehem was the place that Ruth found love (Ruth 4:11). Fittingly, it is the place where the Bridegroom of the Church came calling on lost humanity (Matthew 9:15; 25:1–10; Ephesians 5:25, 33). Isn’t it beautiful how each layer of Scripture we pull back provides another portrait of Jesus?